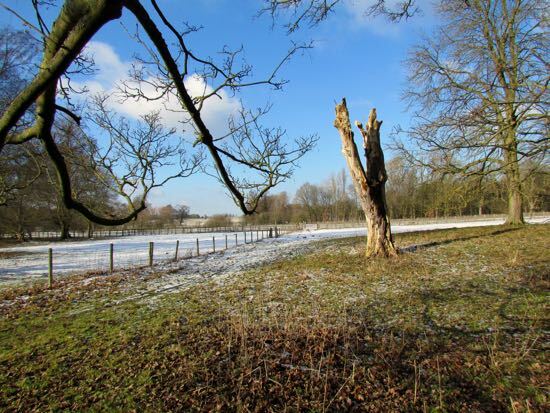 The North Mymms Way, a 12-mile circular route around the historical Hertfordshire parish of North Mymms - which is mentioned in the Domesday Book - has been extended. The route has been widened to the west thanks to the creation of a short stretch of permissive path by a local landowner following discussions with the Ramblers Association. 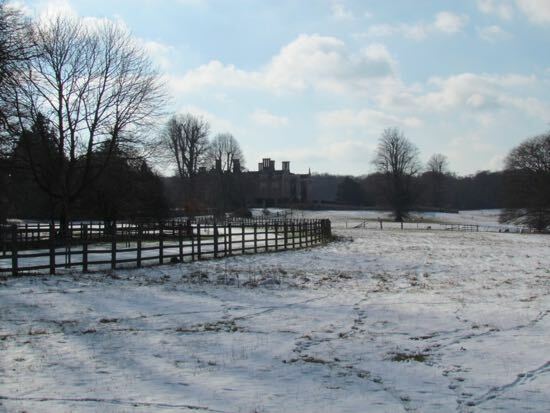 The route now goes through St Mary's churchyard and then crosses North Mymms Park, offering sweeping views across the country estate to North Mymms House. The change to the route is between points 7 and 8 on the map below, the permissive path that made the extension possible is just after point 8 and avoids having to walk along the busy Tollgate Road. 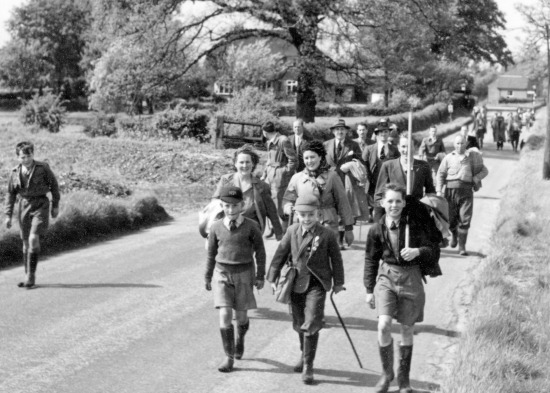 The idea for creating The North Mymms Way came about during the writing of an article for our local history site, The North Mymms History Project. 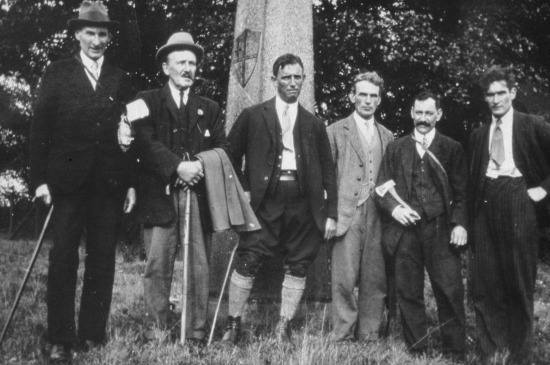 The feature was about the centuries-old tradition of beating the bounds, during which members of North Mymms Parish Council (NMPC) and local residents would walk the length of the parish boundary as a way of recording the size of North Mymms. In June 2013 our local walks site, Hertfordshire Walker attempted to trace that route as closely as possible to the parish boundary using public rights of way, permissive paths, and quiet lanes - and without trespassing on private land. 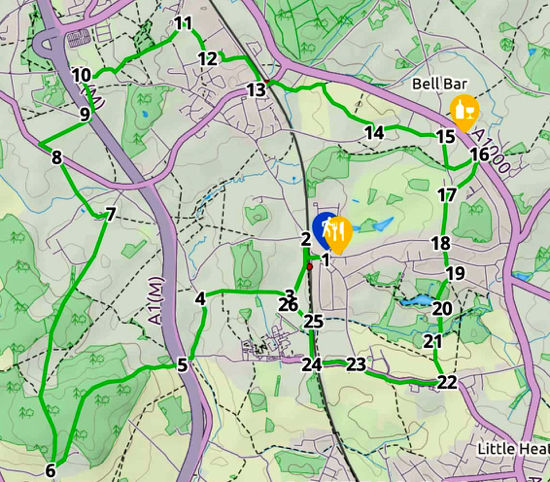 The result is a 12-mile circular route around the parish that goes through Bell Bar, Brookmans Park, Gobions Wood, Little Heath, Water End, and Welham Green. Walkers can start and finish the walk at any point along the way. 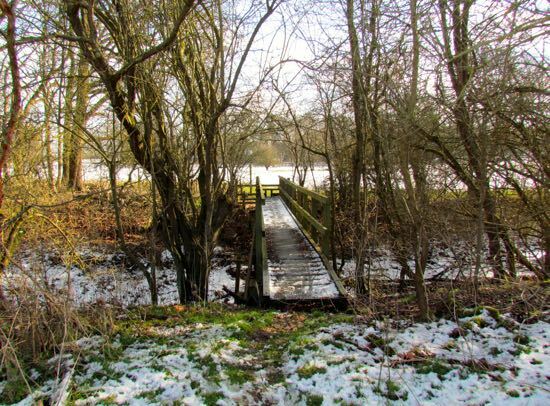 In early 2017 this site contacted Hertfordshire County Council (HCC) and NMPC suggesting that The North Mymms Way be adopted by one of the local authorities as an official way-marked long-distance path. Representatives of both HCC and NMPC discussed the plan, and in May 2017 the route, along with images and directions was presented to NMPC for consideration. Subsequently, the parish council decided to recognise the route. NMPC has since been working on the production of a brochure for those who want to walk the North Mymms Way. In the meantime, directions, a map, and pictures for the walk can be downloaded free of charge by going to Walk 22: The North Mymms Way on Hertfordshire Walker. The North Mymms Way has been published under the terms of Creative Commons BY-NC-SA 4.0.
any publication of the walk is non-commercial. Comments from those who have completed the walk are always welcome. There is a comments box at the foot of the walk page. Can you identify these local historical bridges? Is your mum, aunty, or gran in this picture?